IN THE two times that the Faculty of Arts and Letters (AB) Commission on Elections (Comelec) opened the filing of certificates of candidacy (COCs) for the position of Public Relations Officer (PRO) of the Artlets Student Council (ABSC), a position that has been vacant for about five months now, not one Artlet showed up to file a candidacy. The first filing of COCs was held on Sept. 13, while a second attempt was held on Oct. 15. The glaring disinterest of Artlets in vying for a seat in the council has led the Flame to ask: what could be the reason for the absence of candidates for PRO? For Comelec Chairperson Giselle Manzano, election rules and the shift to K to 12 may have contributed to the lack of candidates. “[I]f first year naman ‘yung ipapatakbo nila (political parties), hindi rin qualified kasi need din na ‘yung student na ‘yun ay seven months nang nag-stay sa [UST],” she explained. Aside from the transition to K to 12, another factor hindering political parties from fielding candidates are their members’ responsibilities and commitments to their other organizations. DEKADA chairperson Ivan Quiamco noted that the party is having difficulty in finding candidates to field because no one wants to leave their respective organizations to pursue a position in the ABSC. “Kahit sabihin natin na may mga deserving mag-run, pero kasi ‘yung willingness din. Para kasing napunta ‘yung ibang DEKADA members sa kanilang sari–sariling org na parang ayaw na nilang bitawan ‘yung posisyon nila. Kuntento na sila kung nasaan sila,” he said. Another party, however, alleged that the Comelec lacked preparation for the second filing for special election. Students’ Democratic Party (SDP) head Nafi Simon said the party was discouraged from participating the second time that the filing of COCs was opened because of the abrupt announcement during the preliminary examinations week. He pointed out that training candidates is a tedious process that takes a lot of time. “Hindi naman namin gusto magpatakbo ng kandidato na hilaw pa, so we thought it’s best kung hindi muna kami magpapatakbo ng kandidato for the recent special election,” he stressed. For Grand Alliance for Progress (GAP) Chairperson Reymark Simbulan, the lack of candidates might be a signal of growing apathy among Artlets as well as problems within the ABSC itself. “I think one could credit it also sa ABSC officers ngayon. […] We should also look into the factor that maybe students are not running for office because they might be reluctant to associate themselves with the current council, given their questionable performance in some projects such as the AB General Assembly, AB Org Fair, and others,” he said. Board of Majors (BOM) speaker John Steven Usero said the outcome of both filing periods was confusing and disappointing. “‘Yung parang lakaran ng politics dito sa AB, mahirap siyang gamayin. […] Siguro ‘yung sentiments ng Board of Majors [ay] parang bakit walang tumatakbo since Faculty of Arts and Letters tayo—liberal arts. Bakit walang mag–stand up tapos maging leader?” he said. This was the first time that no candidacies were filed for a special election. Both the USEC and ABSC Constitution have no provisions on what should be done in such cases. “Actually, it was hard din talaga for us kasi there’s no precedent cases regarding this, this is the first time… ni-re-raise na namin sa BOM and sa ABSC [ang] amendments kasi it’s really hard na walang supplied provision regarding [these] matters,” the Comelec chairperson said. 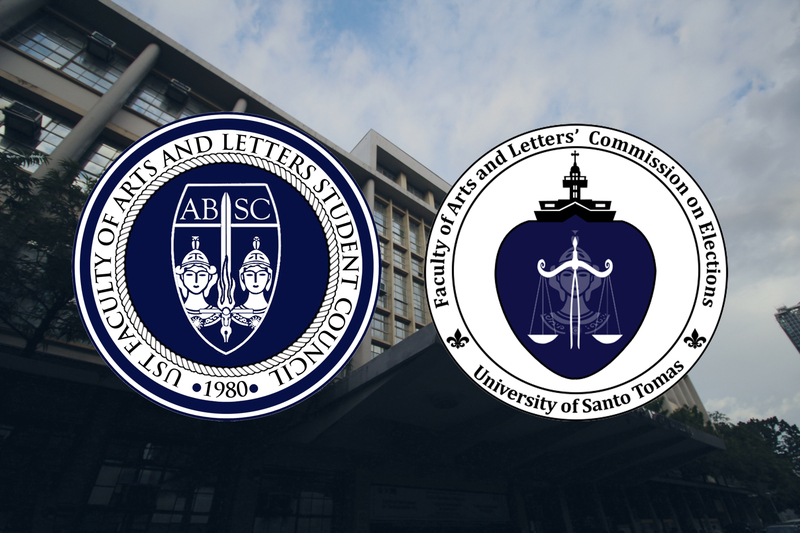 However, ABSC President Rafael Arellano said they have no plans yet to amend the constitution, adding that amendments made this year will not take effect until the next academic year. Usero argued that the lack of candidates shows a need to amend the constitution to reflect the current political atmosphere in the Faculty, which has changed through the years. At present, the 2004 ABSC Constitution is still being used.